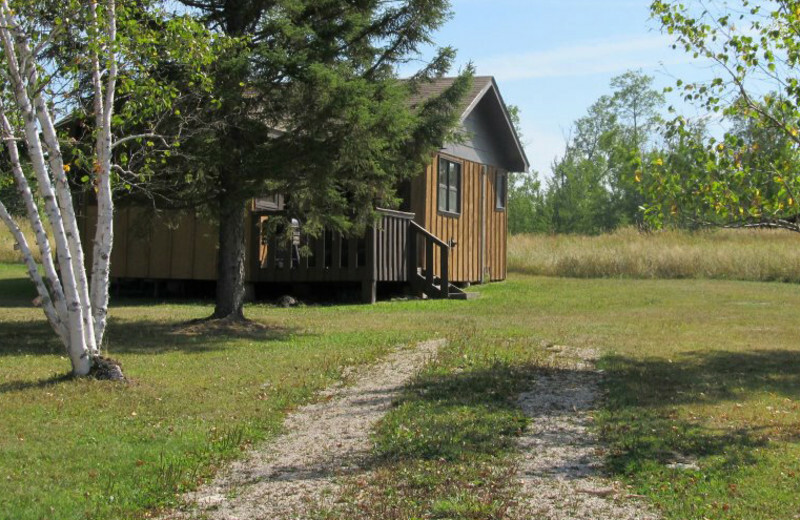 On Lake of the Woods, you'll feel at home in one of these cozy, yet comfortable and well-equipped cabins at the Angle Outpost Resort & Conference Center. These rustic cabins reflect the natural beauty of the setting but still offer modern amenities like wireless internet, satellite television, and fully-equipped kitchens. 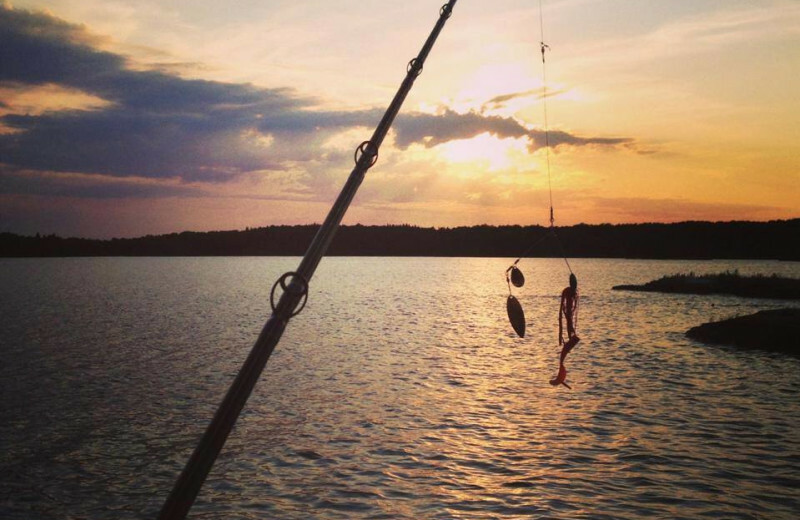 Spend a moment in front of your cabin's fireplace or head out onto the lake for a day of fishing. 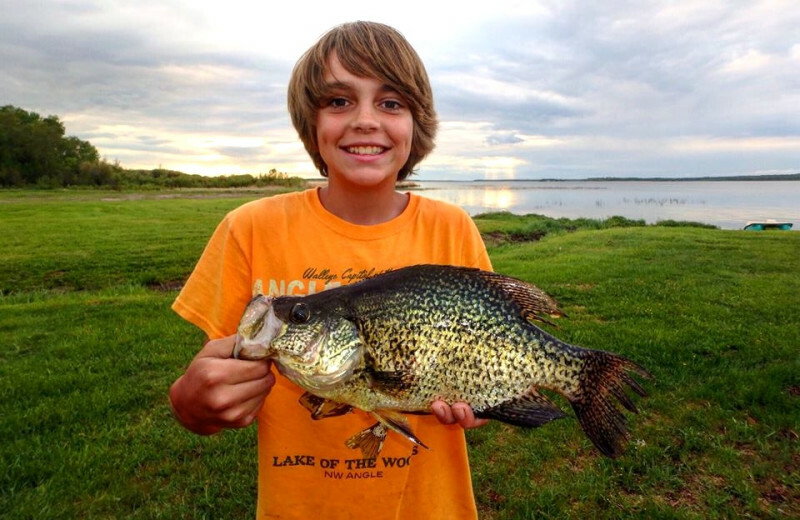 In the lodge, you'll find a general store where you can pick up a fishing license or supplies, then head out onto Lake of the Woods for walleye, large and smallmouth bass, muskie, and northern pike! Take the family on a vacation where they will beg to come back to year after year! 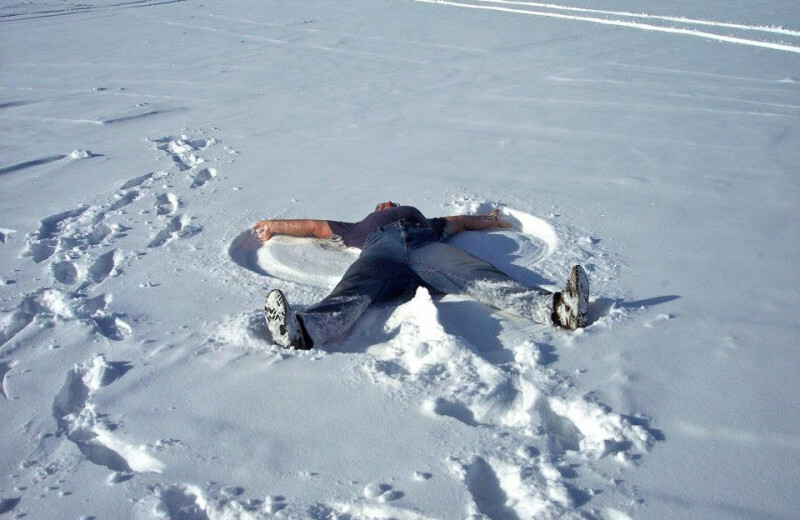 Angle Outpost Resort offers a relaxing Minnesota location where you can reconnect with your loved ones without any distractions. 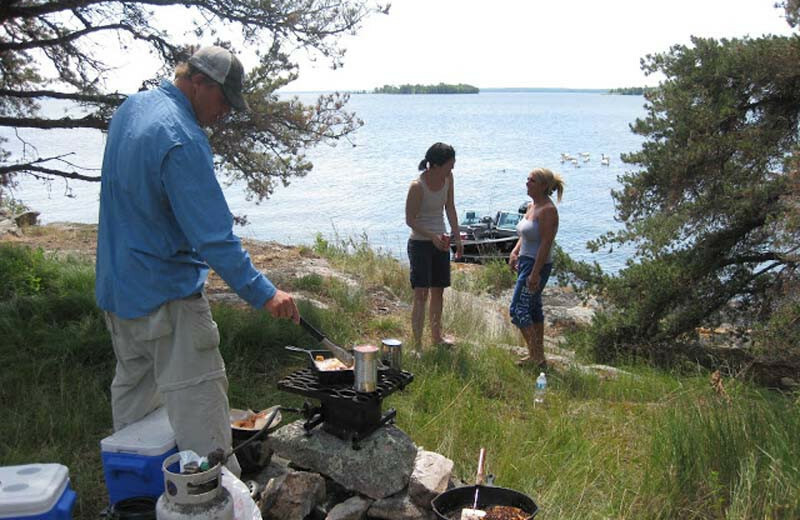 Enjoy an abundance of Lake of the Woods fishing, water activities and, of course, close togetherness. It's truly the perfect destination for all your family's needs and desires! 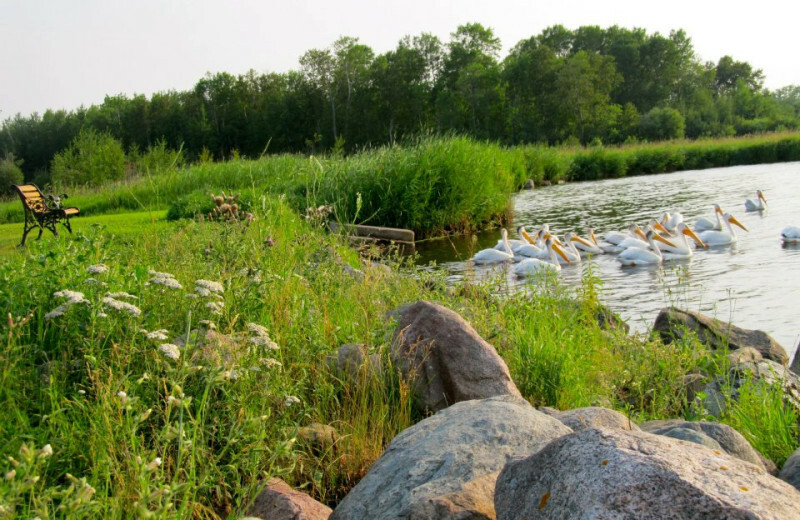 Looking to host a secluded, Northern Minnesota conference or meeting? Angle Outpost Resort & Conference Center features a spacious conference room that can accommodate up to 50 guests for seminars, informational meetings, or banquets. 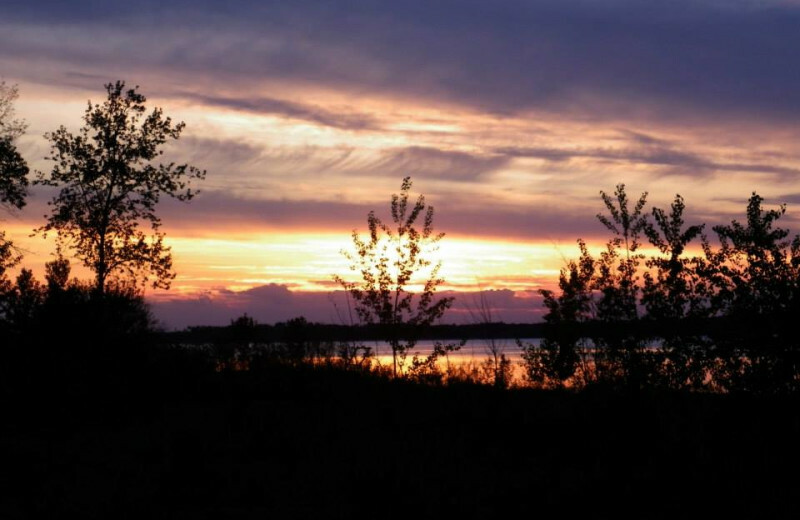 The beauty of the vast wilderness and Lake of the Woods is sure to inspire! Stunning views, gorgeous colors, and a healthy abundance of wildlife surround you at the Angle Outpost Resort & Conference Center. Come and see for yourself and reconnect with nature. 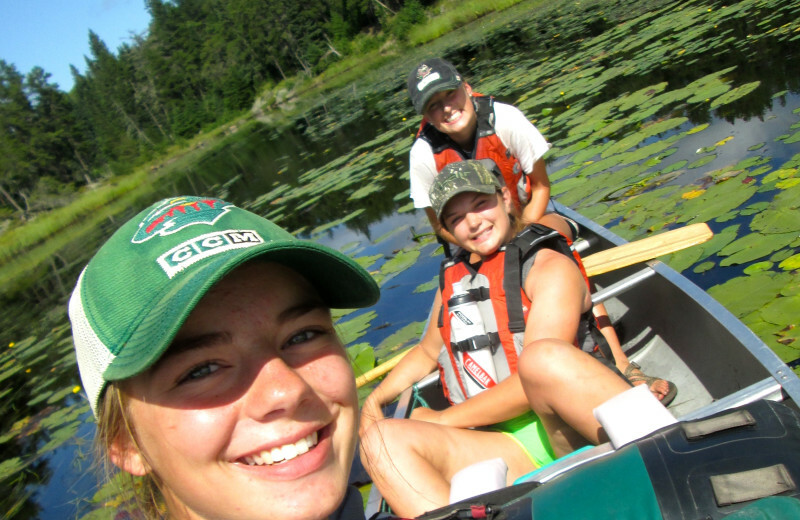 Whether a guided fishing excursion, kayaking the lake, or a hike in the woods, take the time to enjoy the great outdoors of Northern Minnesota and the picturesque beauty of the Lake of the Woods area! 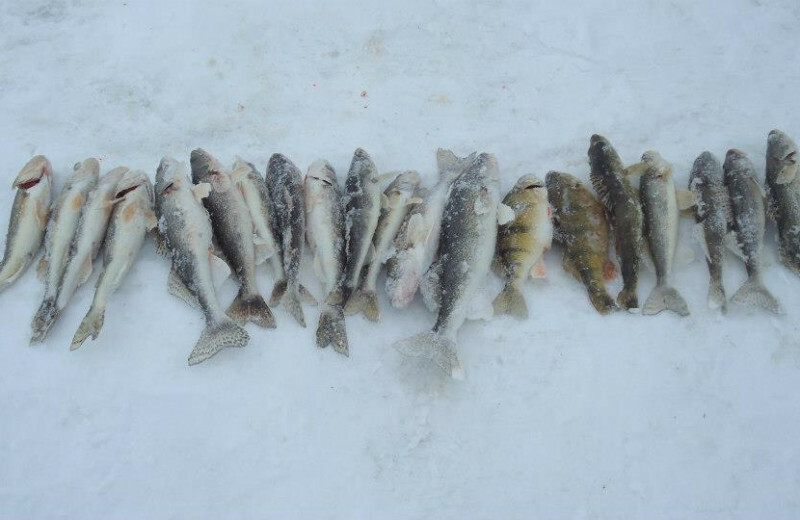 You'll find great year-round fishing opportunities on Lake of the Woods for walleye, large and smallmouth bass, muskie and northern pike. 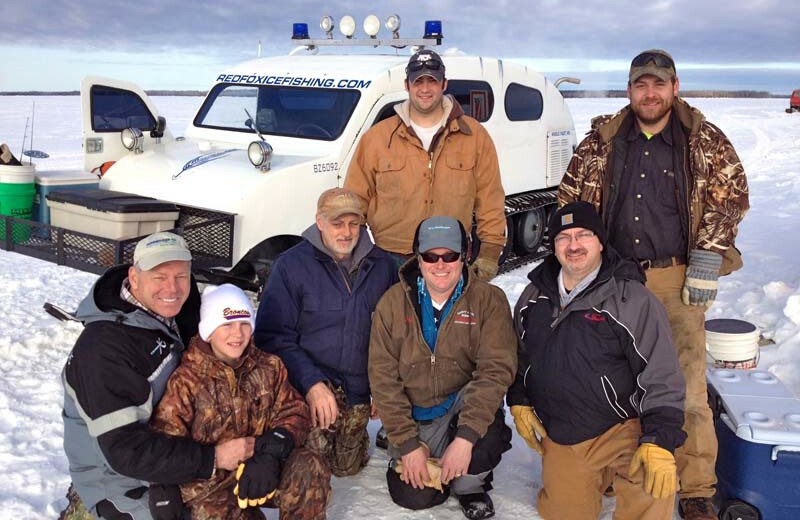 There is no going wrong— whether you choose to spend a summer day on a boat with your line in the water or brave the winter to take on ice fishing! Whether you're here with the family or enjoying a getaway on your own, you're sure to have a great time! 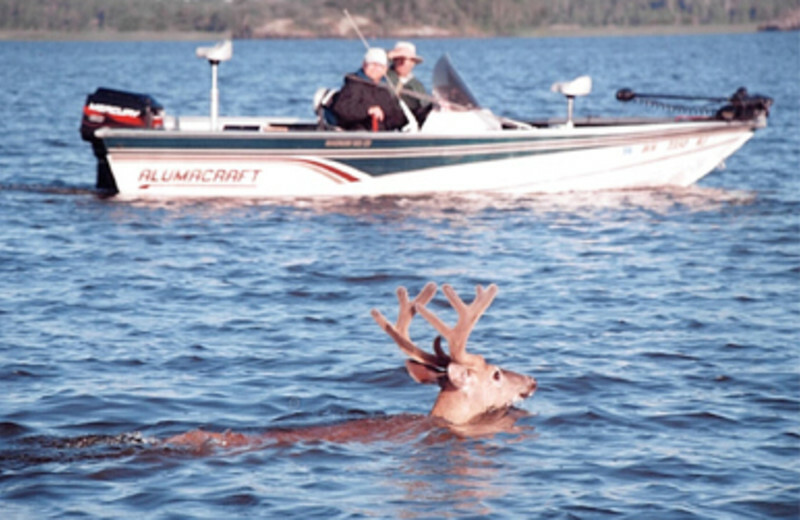 Hunters will find white-tailed deer and water fowl aplenty around Lake of the Woods while staying at the Angle Outpost Resort & Conference Center. Veteran hunters are available as guides for your excursions; just contact the Angle Outpost Resort and they will arrange for a guide for you! 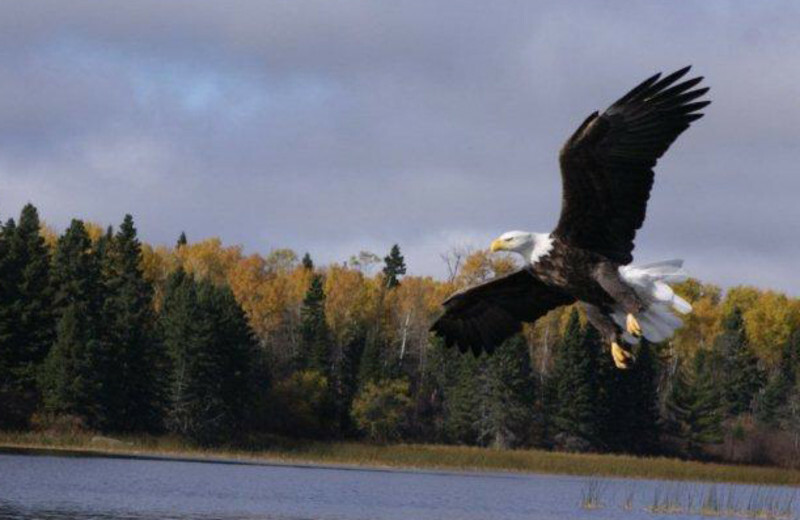 Planning on bringing your furry-four-legged friend along for your Northern Minnesota getaway? No problem! 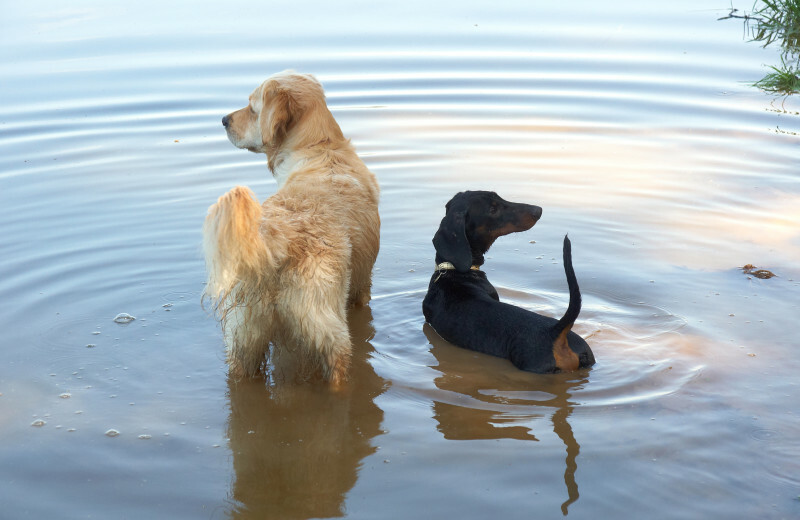 Angle Outpost Resort & Conference Center welcomes pets with a small additional daily charge. Just make sure they remain obedient and are cleaned up after. 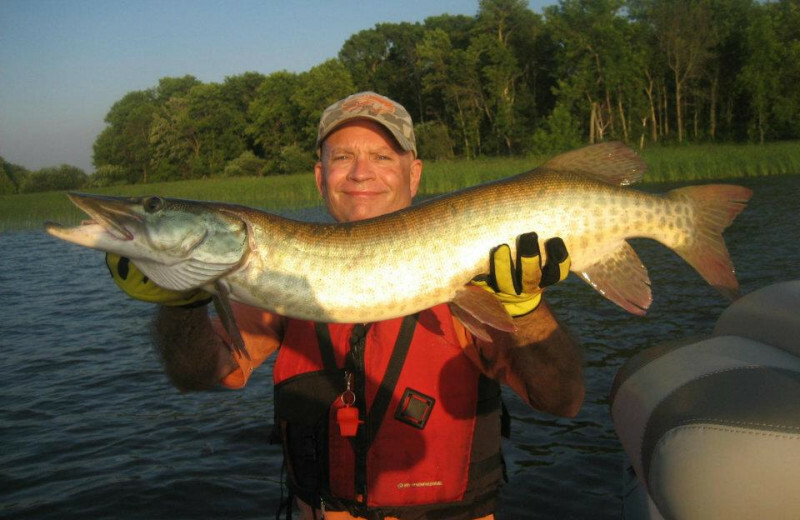 Enjoy an abundance of fishing of everything from Walleye to Muskie and Northern Pike to both Large and Smallmouth Bass! 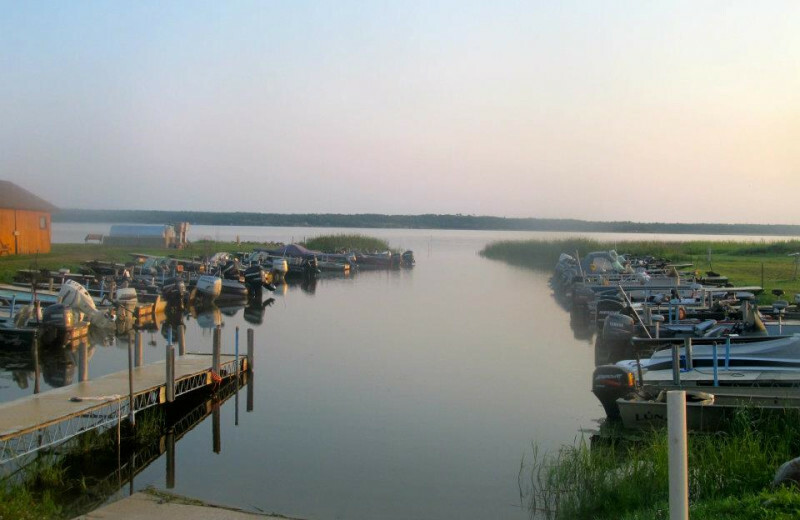 Lake of the Woods is perfect for not only fishing but for boating, skiing, swimming and much more! 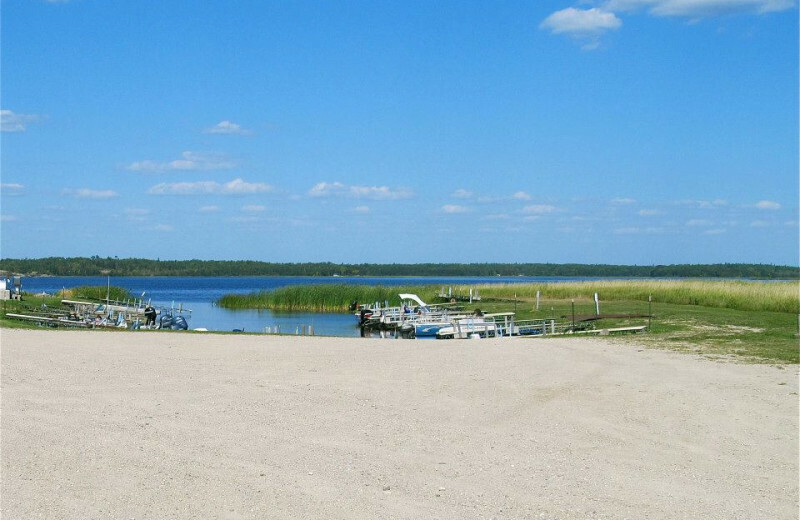 And, if you prefer to keep your land legs - enjoy views of the lake from the sandy private beach! 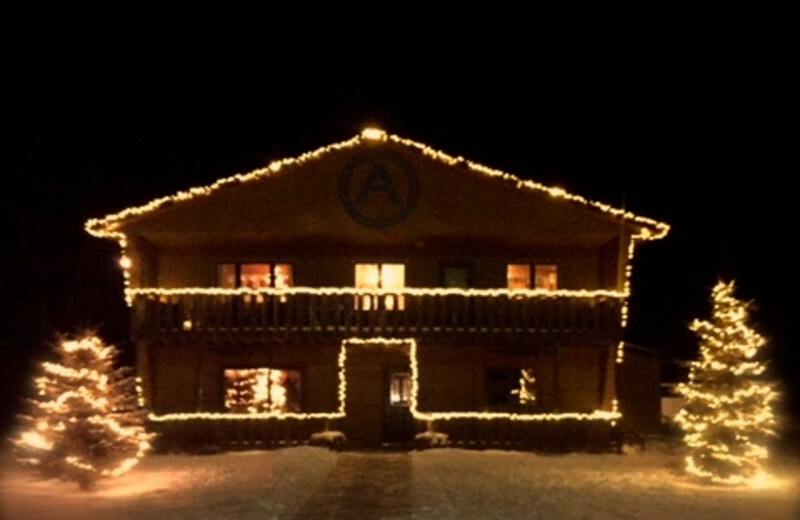 Angle Outpost Resort & Conference Center features a selection of year-round cabins that are sure to meet all of your needs. 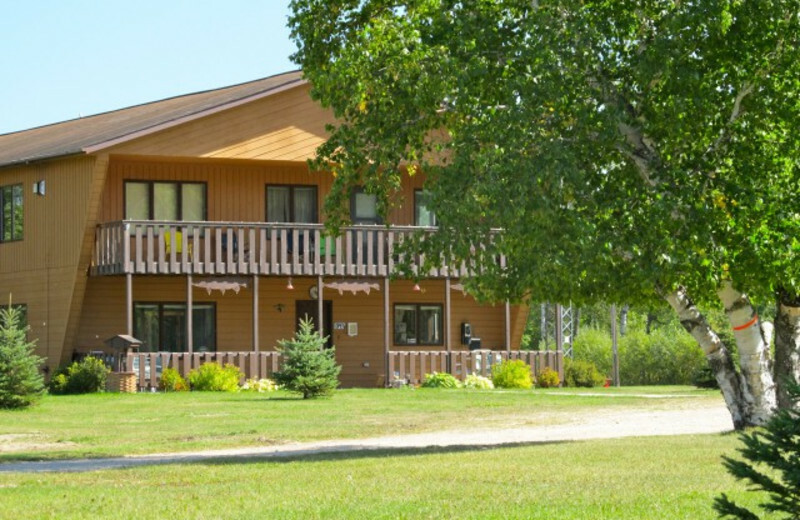 The resort's eleven cabins are located just steps away from the beautiful Lake of the Woods and offer a variety of modern amenities to make your stay comfortable. Enjoy high-speed wireless internet, satellite television, microwave, coffee maker, charcoal grill, a fireplace, and more! 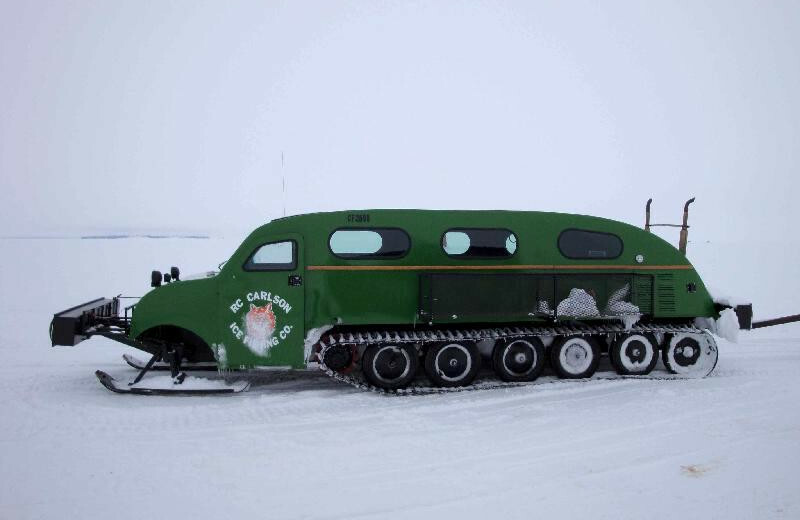 For your next holiday, head to Minnesota! This is the perfect destination, no matter what time of year! 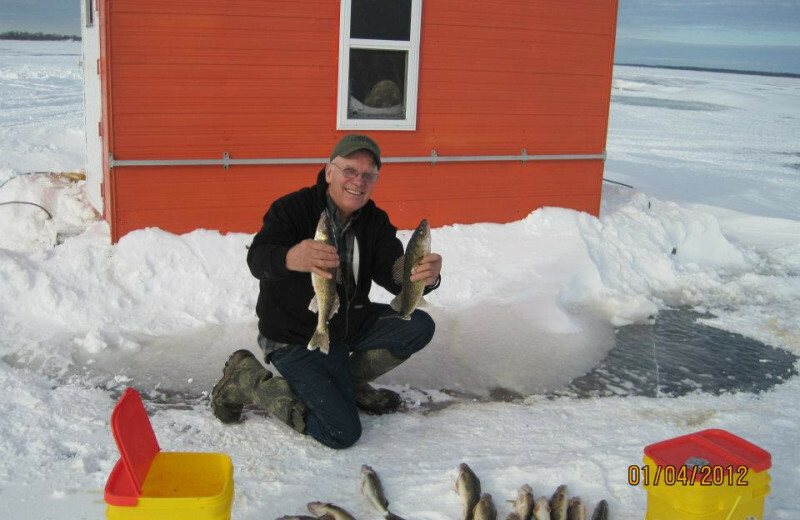 Rent a cabin at Angle Outpost Resort & Conference Center and enjoy swimming, fishing and hiking for those long summer weekends and snowshoeing and cross country skiing during the winter. No matter what time of year, you'll have the vacation of a lifetime! 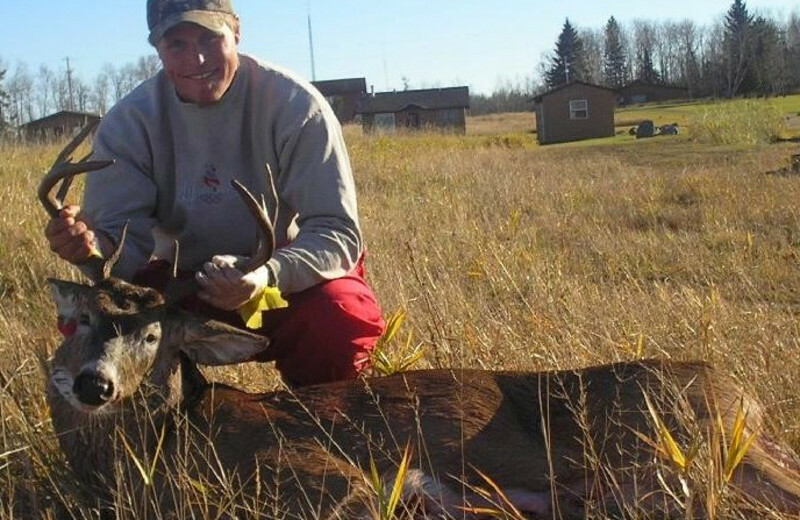 This property is ranked number 4 on Top Minnesota Winter Cabin Getaways. Read about it here.